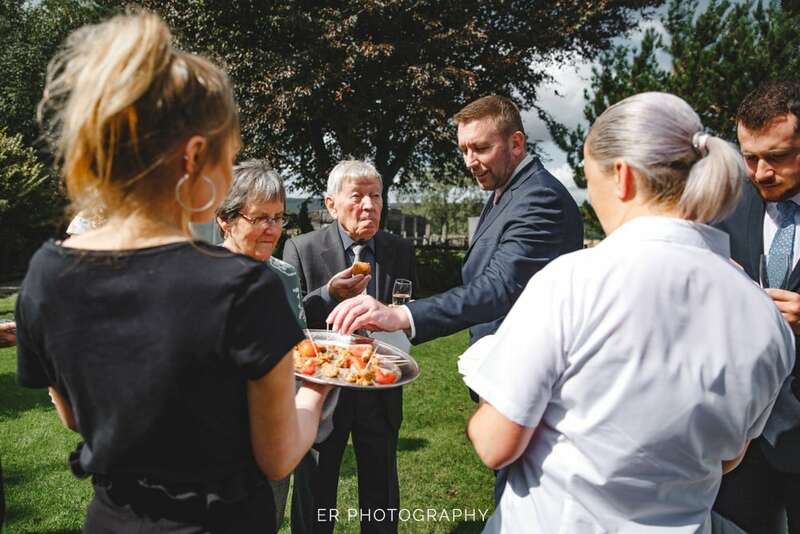 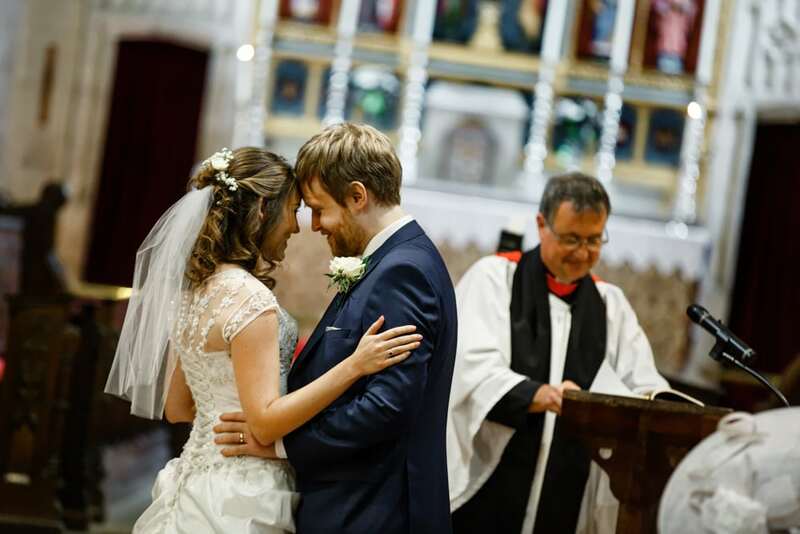 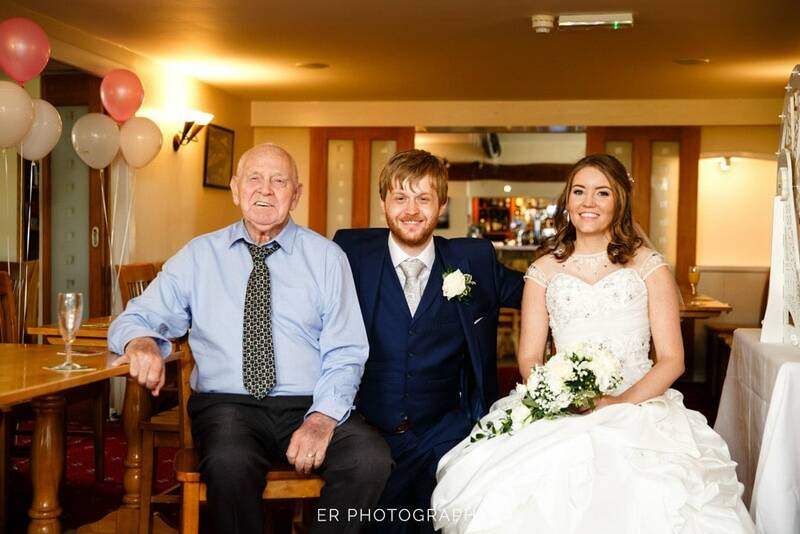 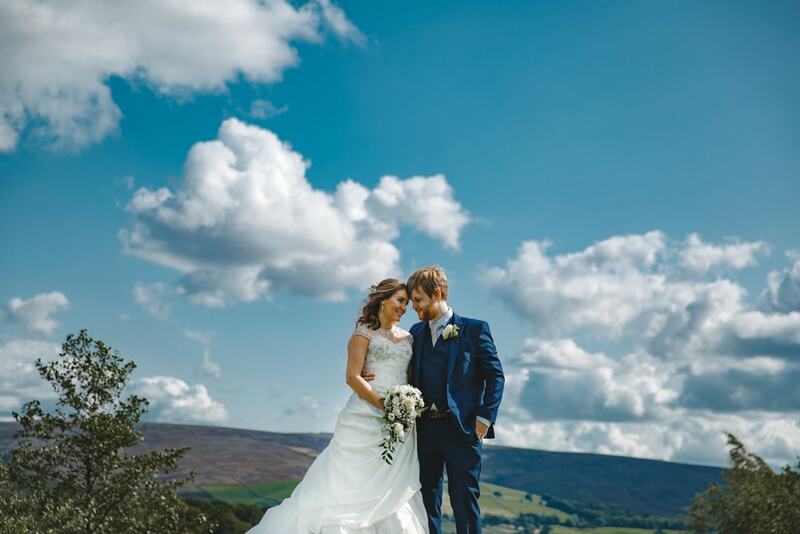 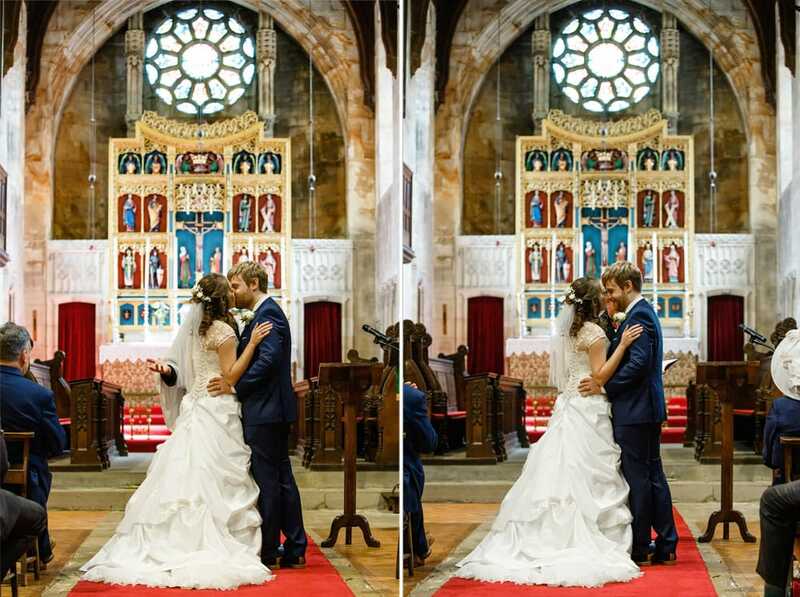 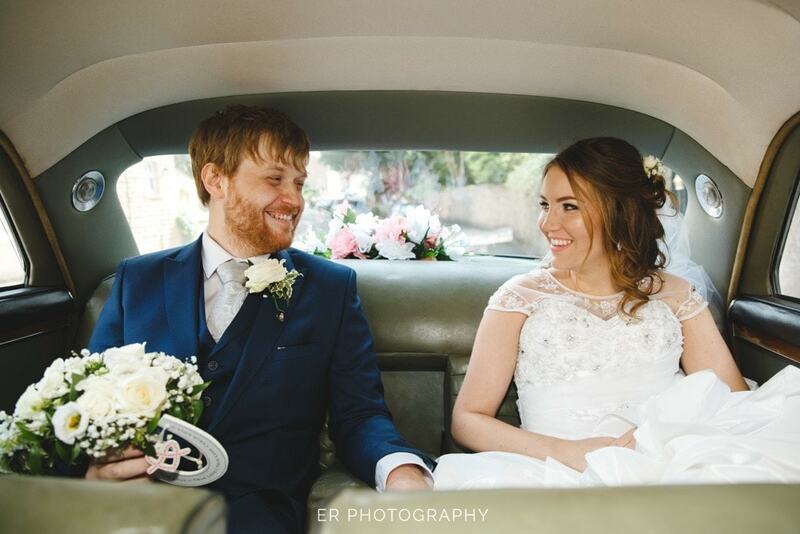 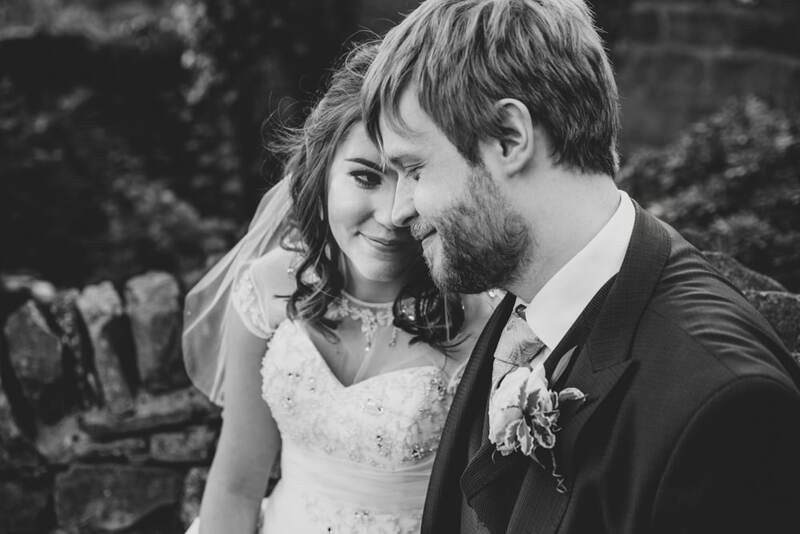 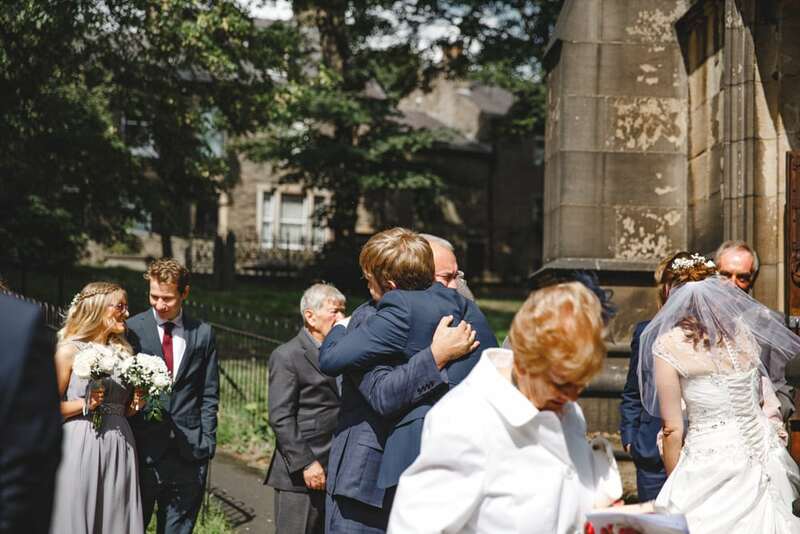 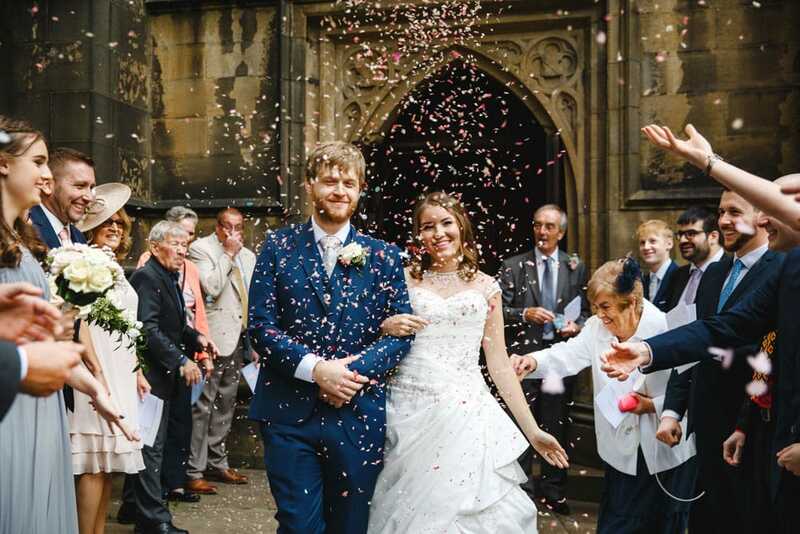 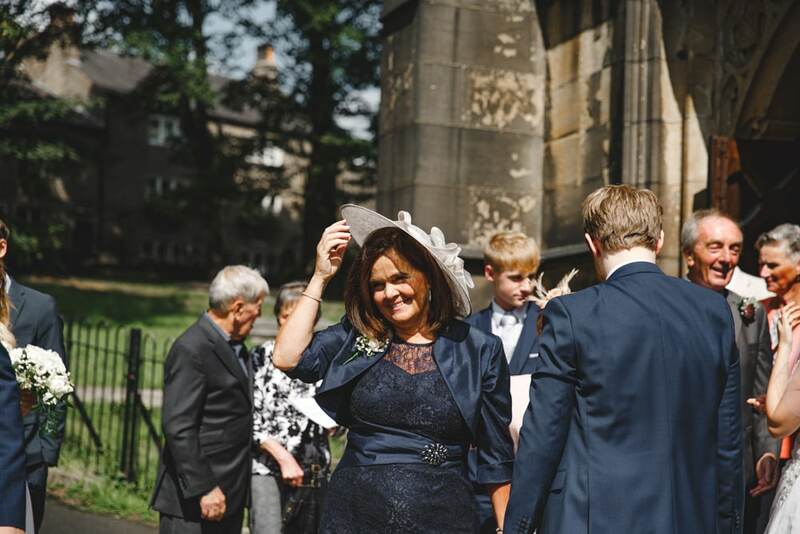 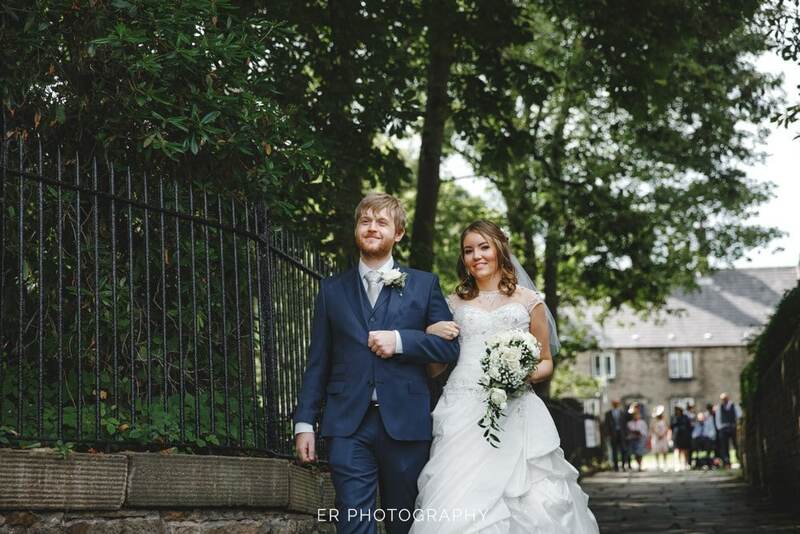 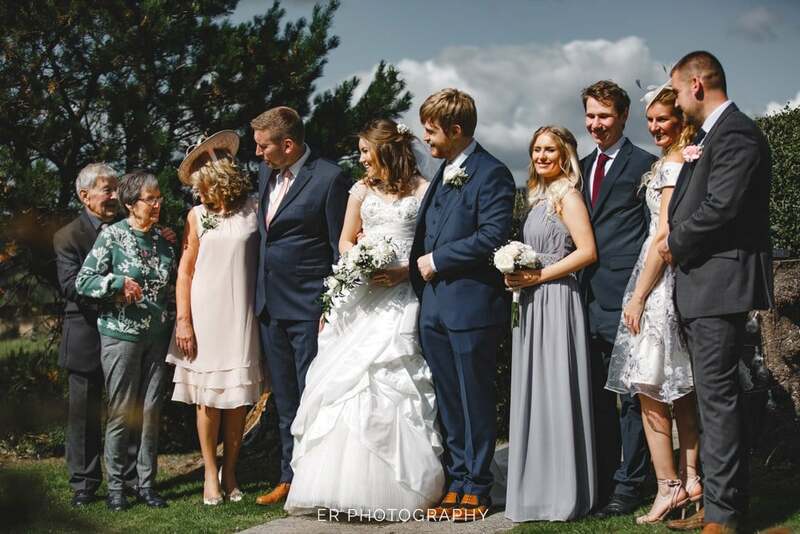 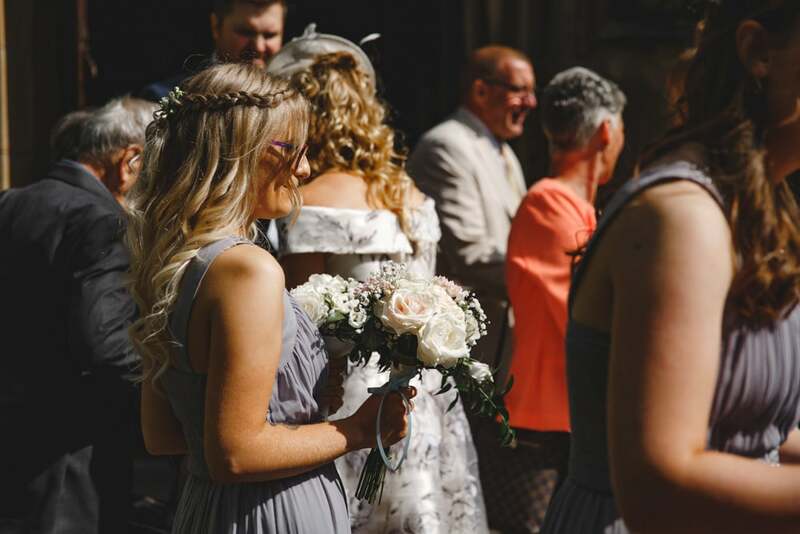 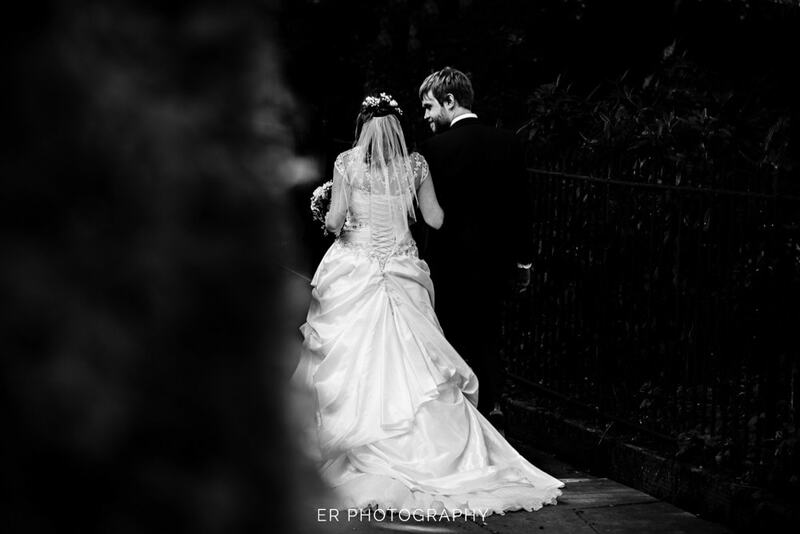 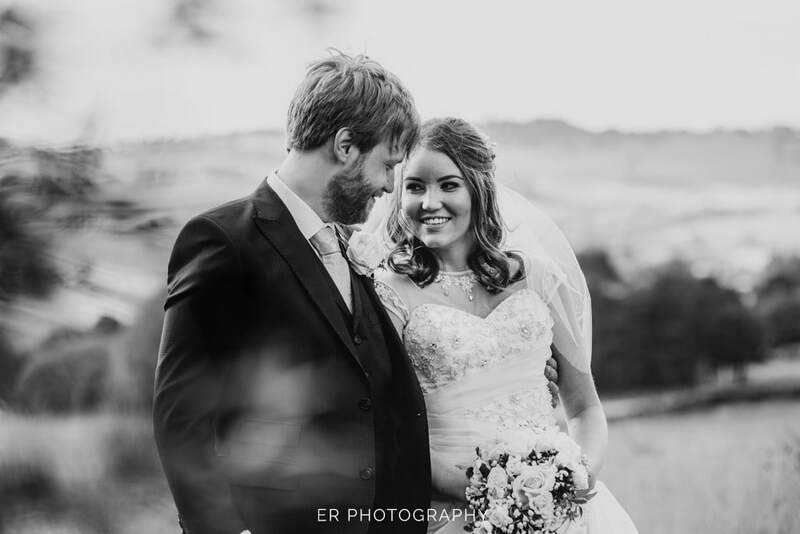 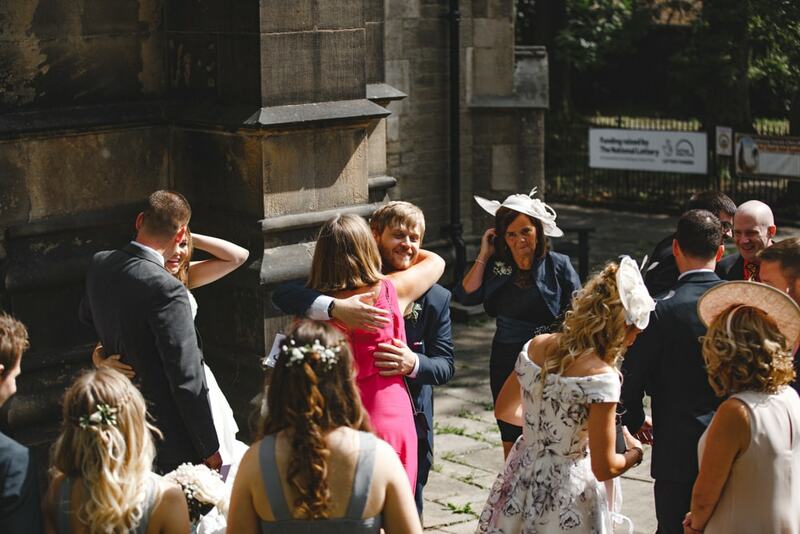 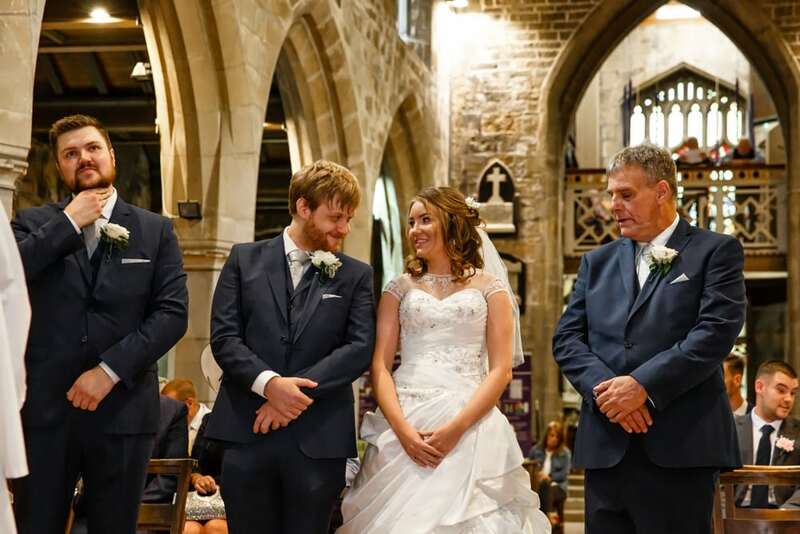 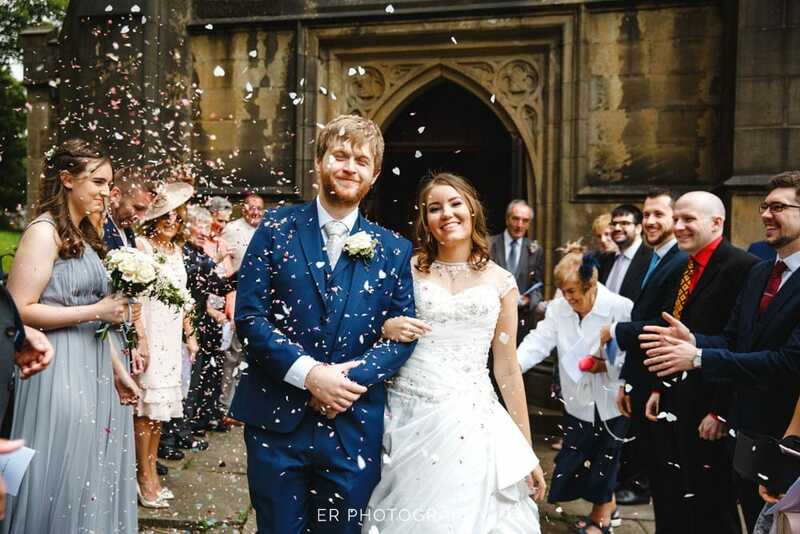 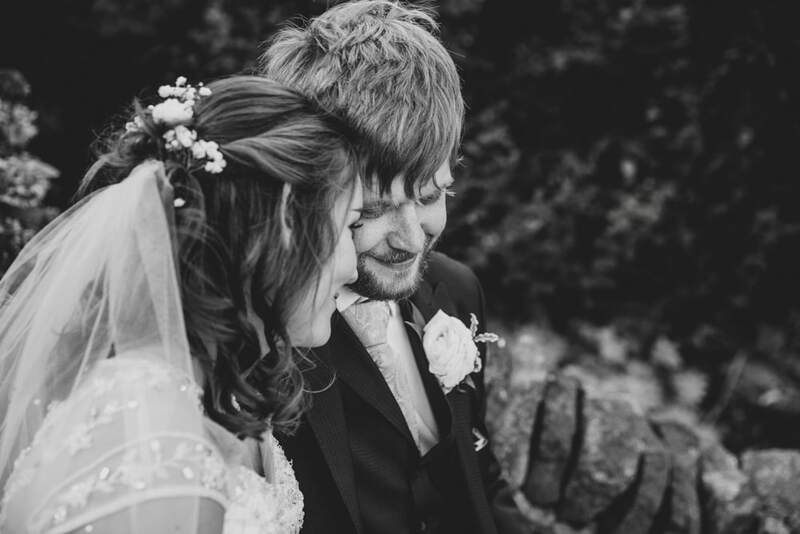 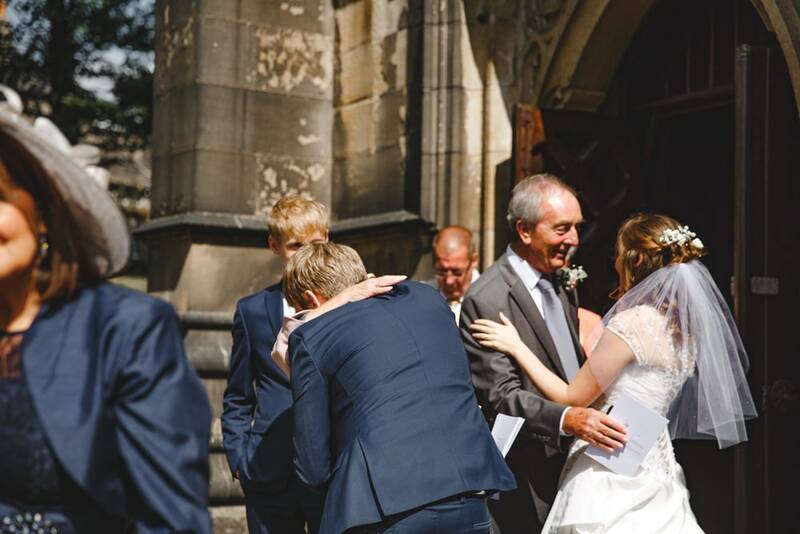 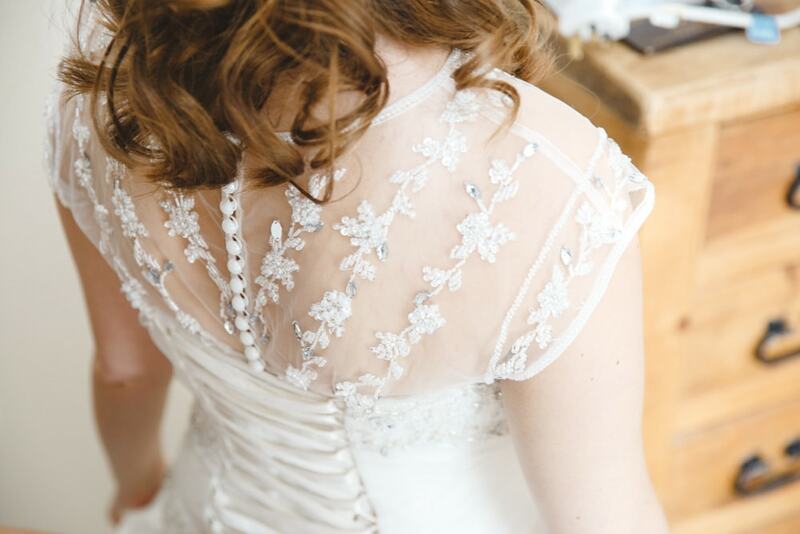 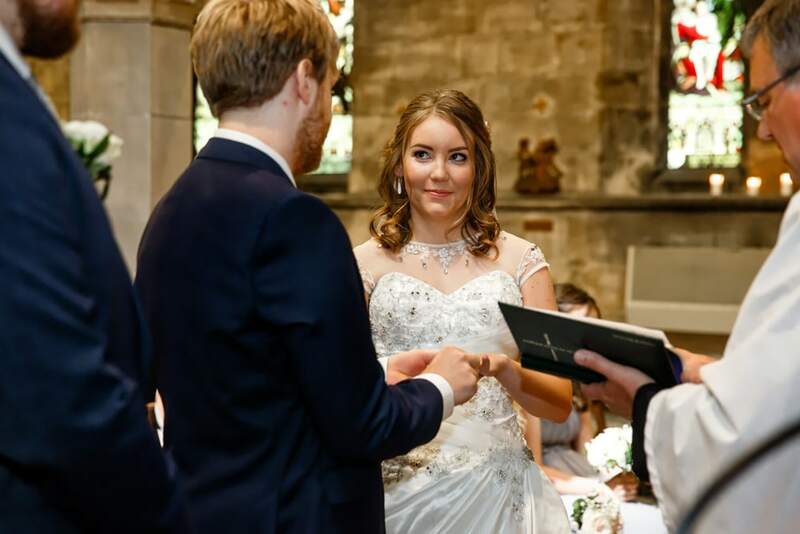 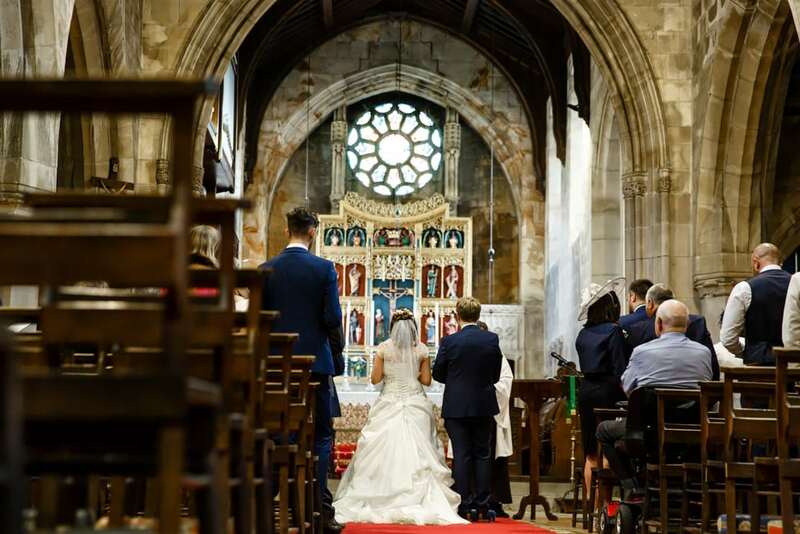 Claire + Tom married at Glossop Parish Church yesterday in an intimate ceremony with family and friends. 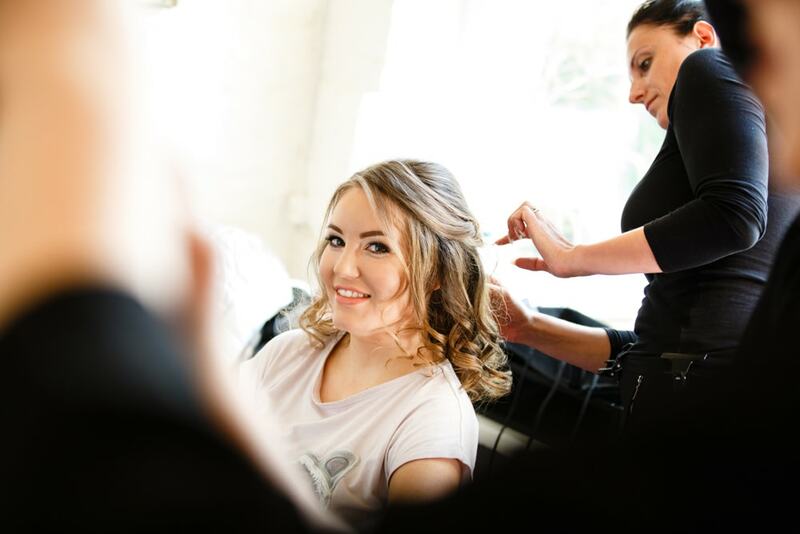 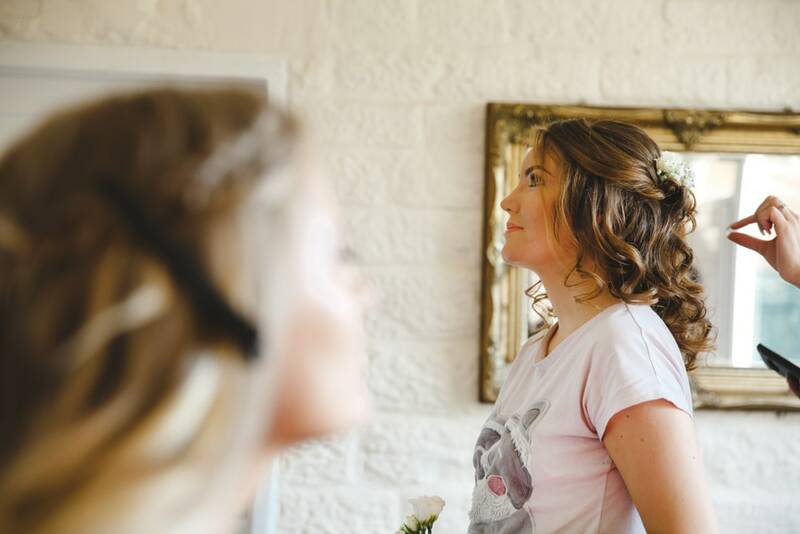 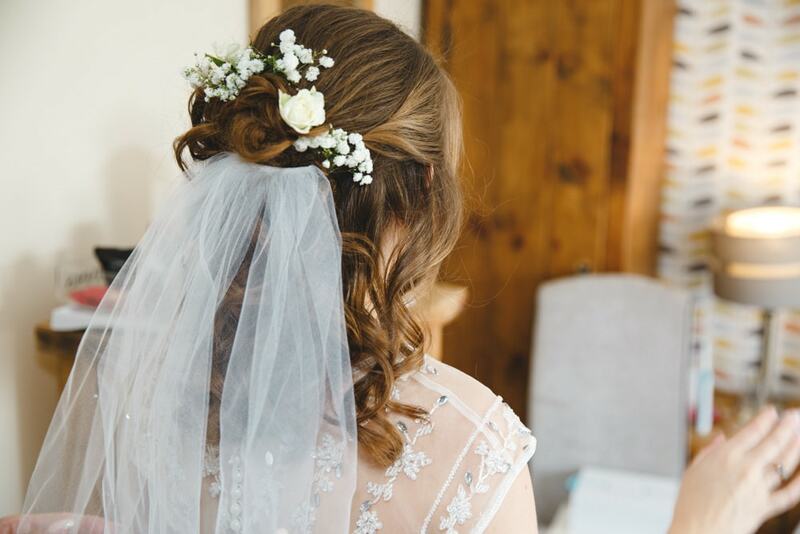 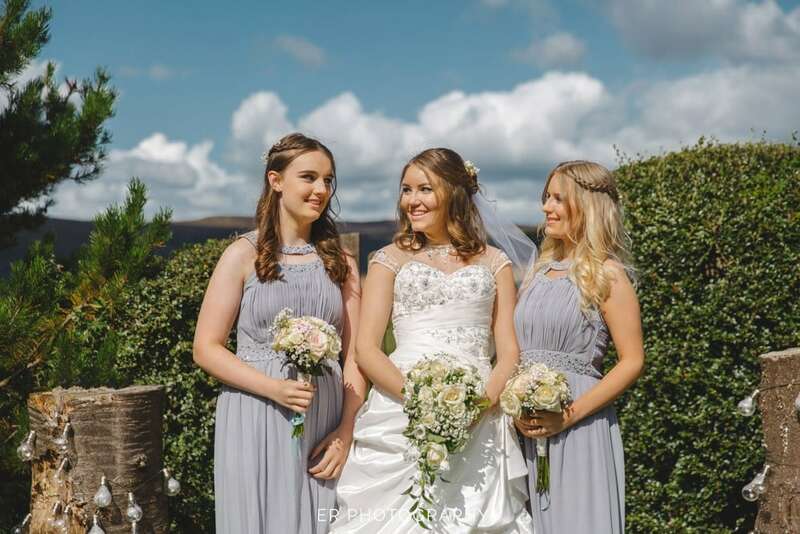 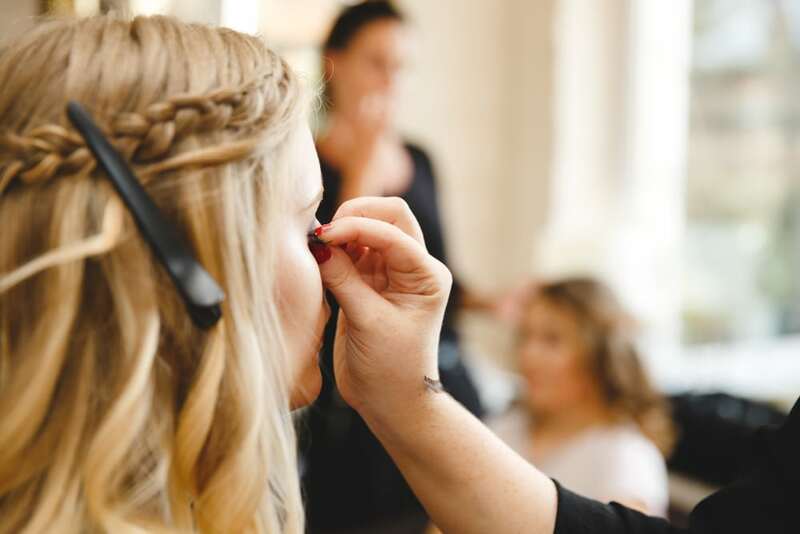 Clare and the girls got ready at Windy Harbour Farm where they enjoyed a relaxed morning being pampered. 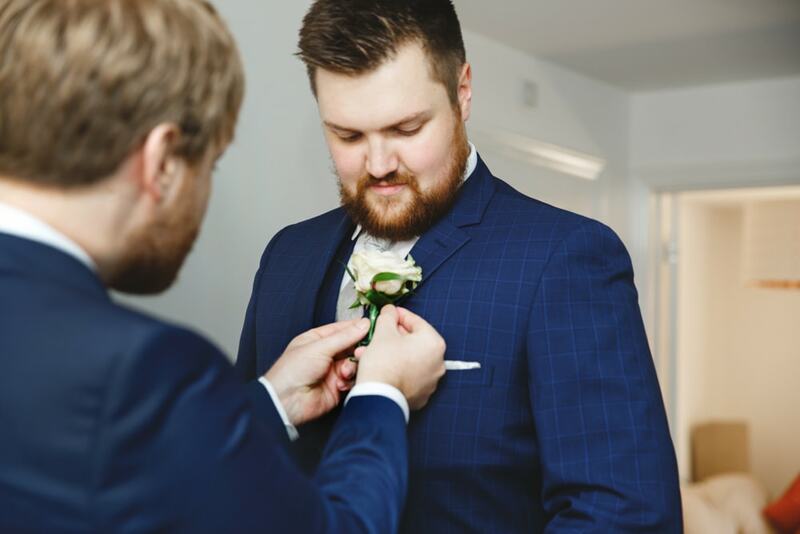 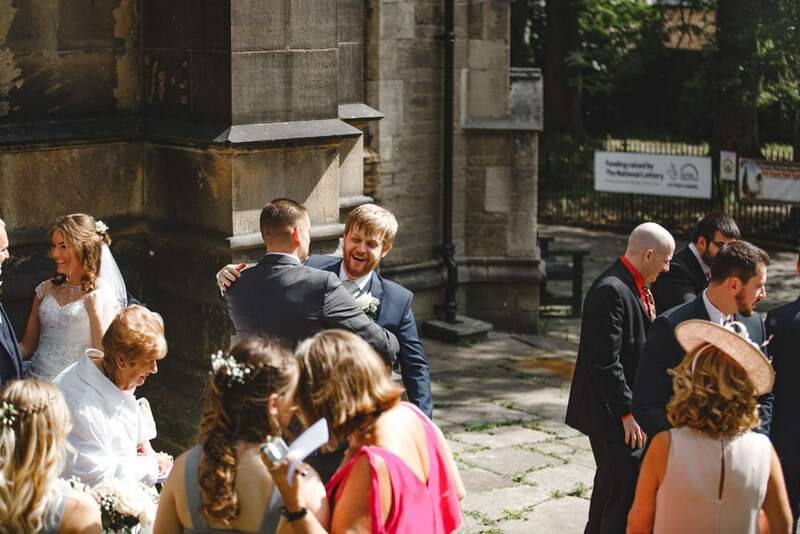 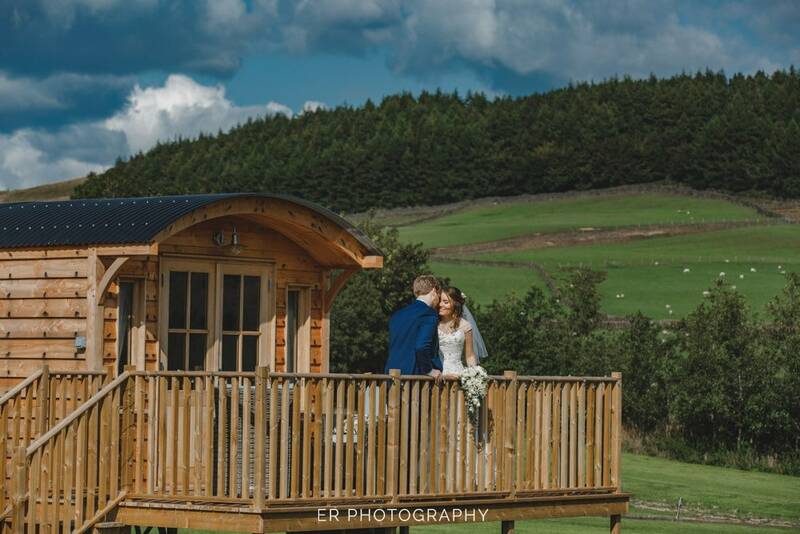 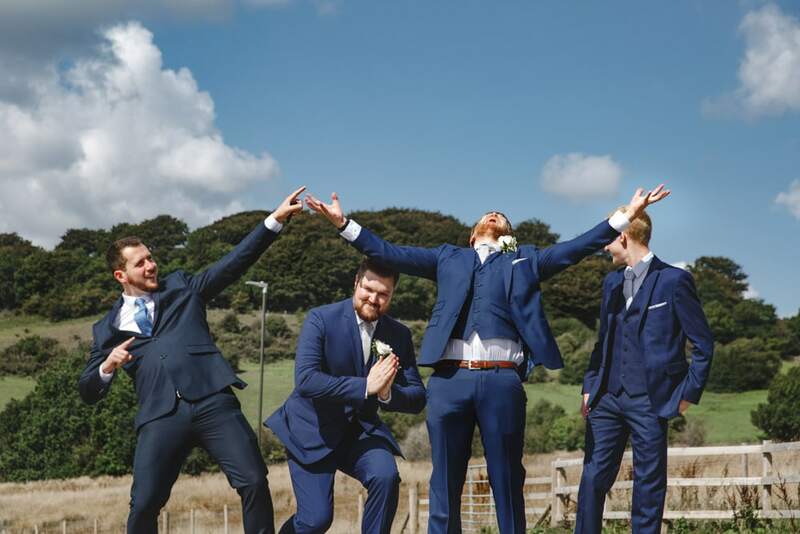 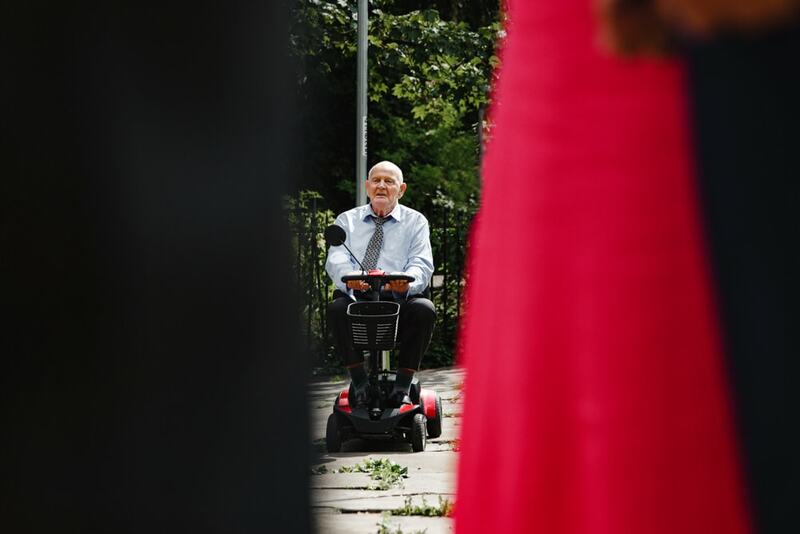 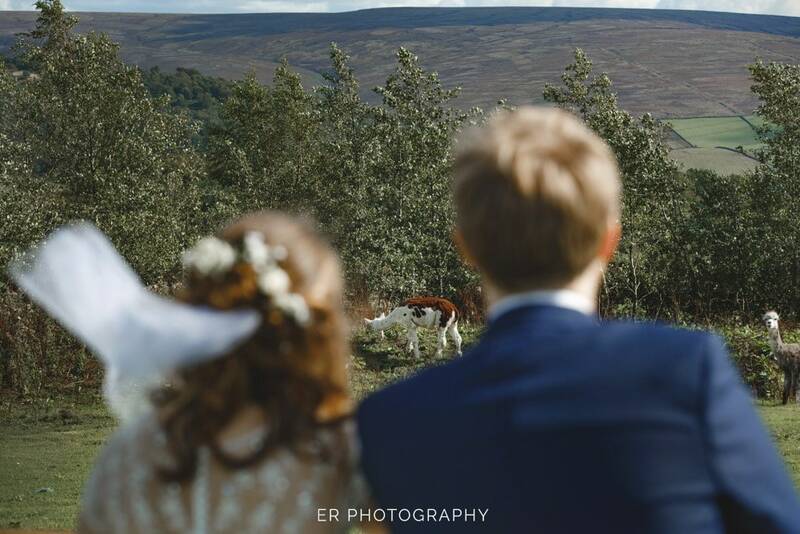 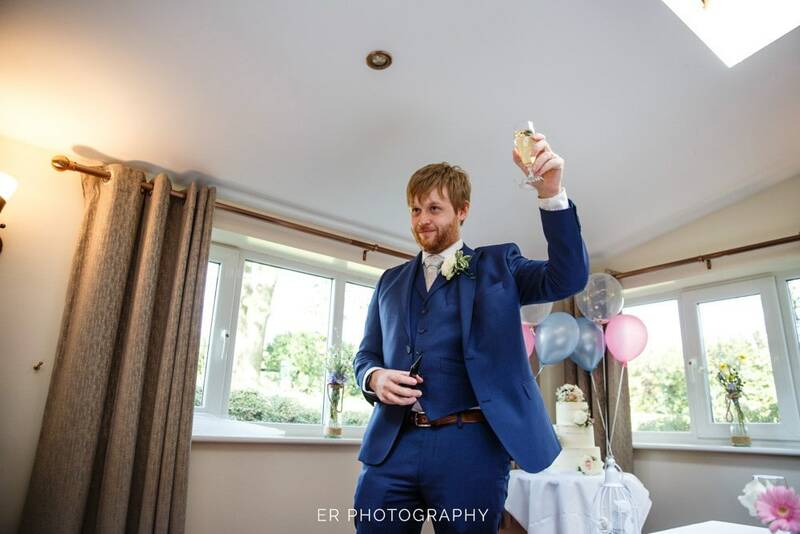 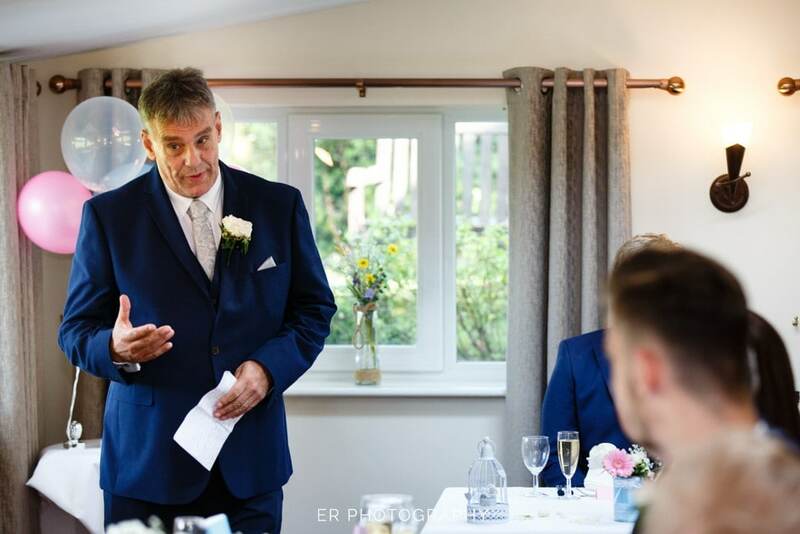 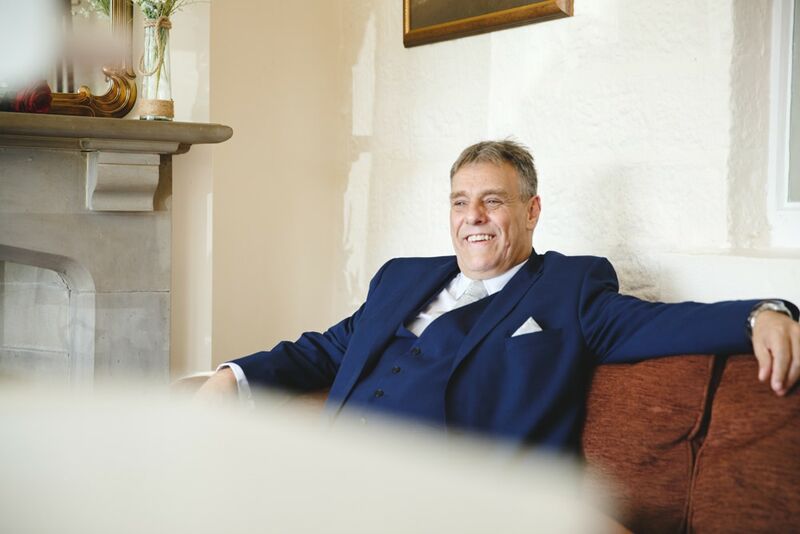 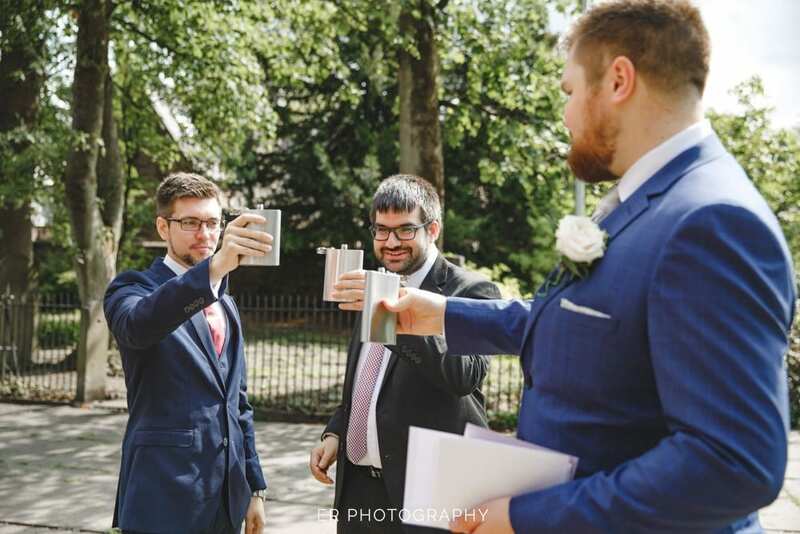 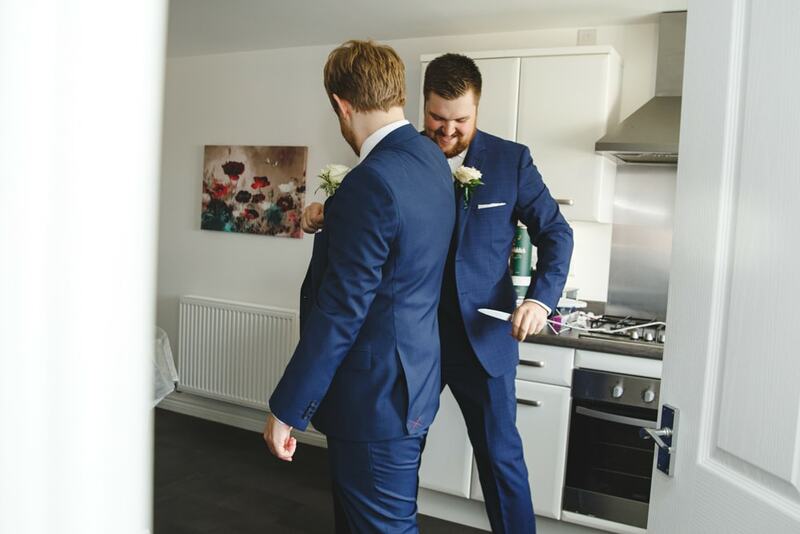 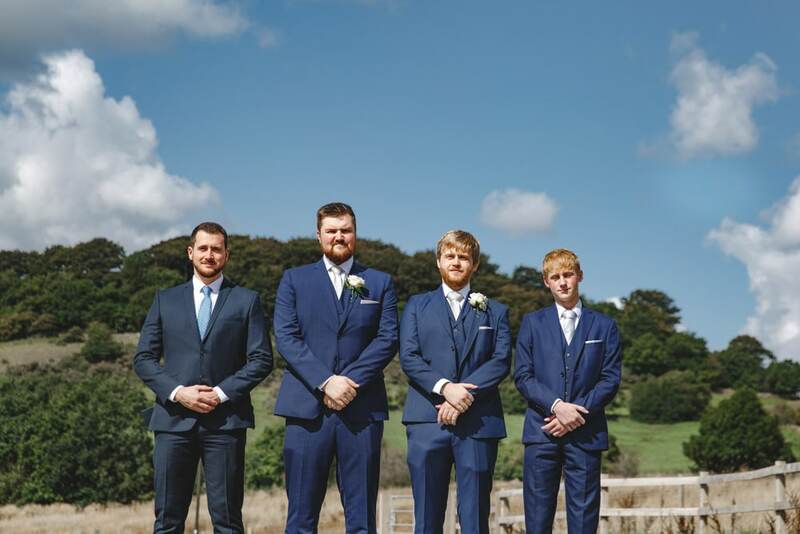 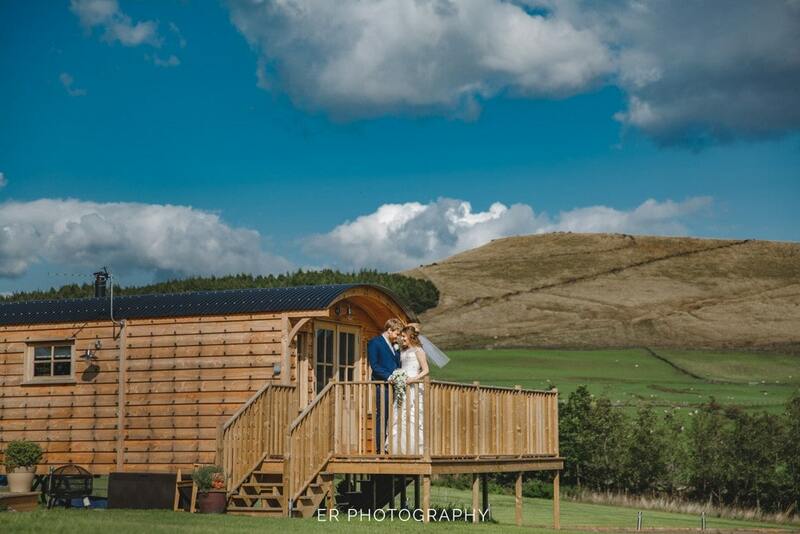 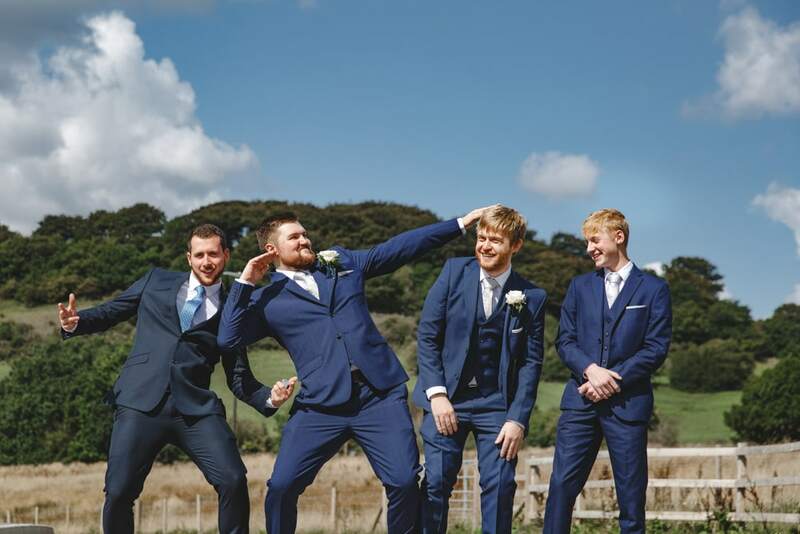 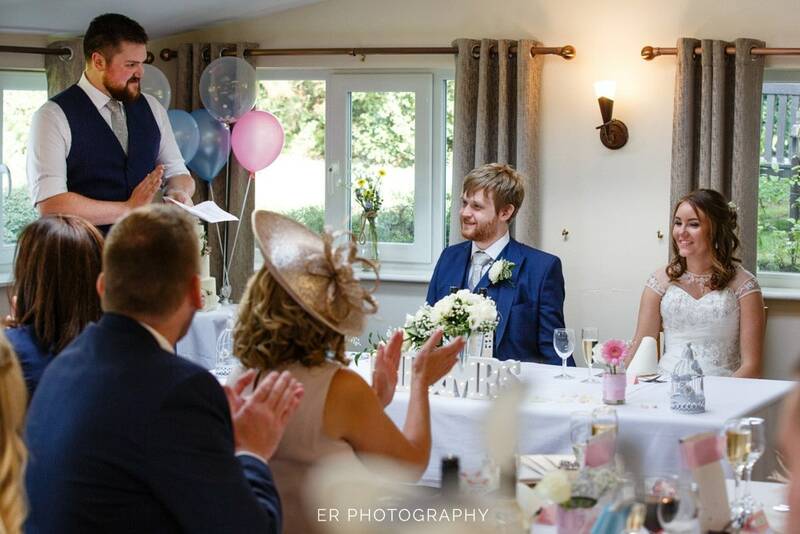 Tom and his groomsmen were at home in the wonderful new home in the most amazing landscape. 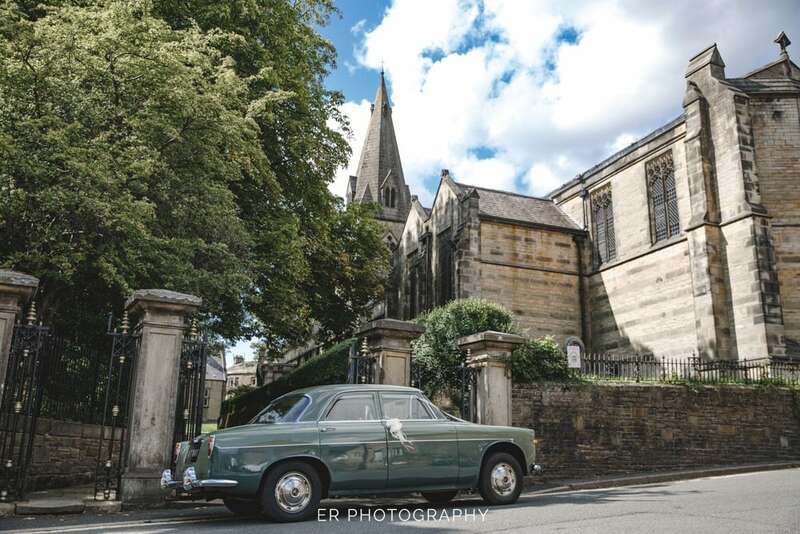 Claire looked an absolute picture when she arrived in her vintage style car, once she arrived it was all systems go, the bell ringers were busy pulling the ropes letting all the village know that the bride had arrived. 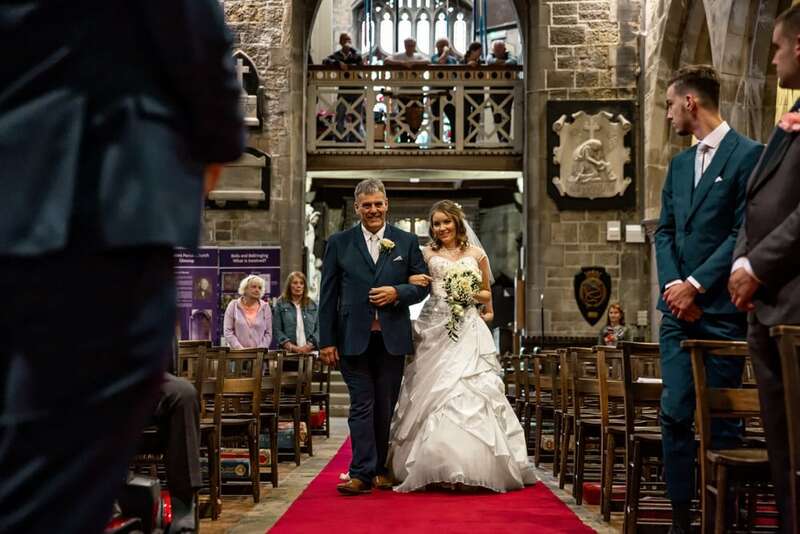 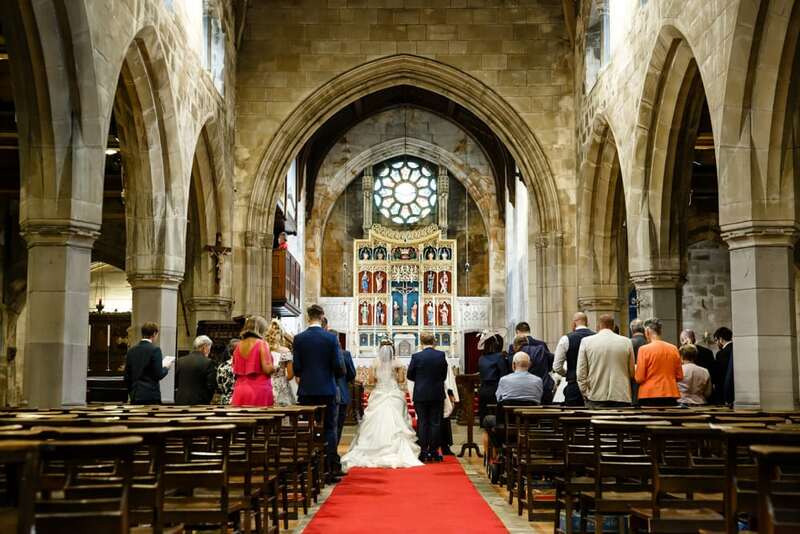 Claire entered the church with it’s grandure and wonderfully long aisle which she walked down like a pro. 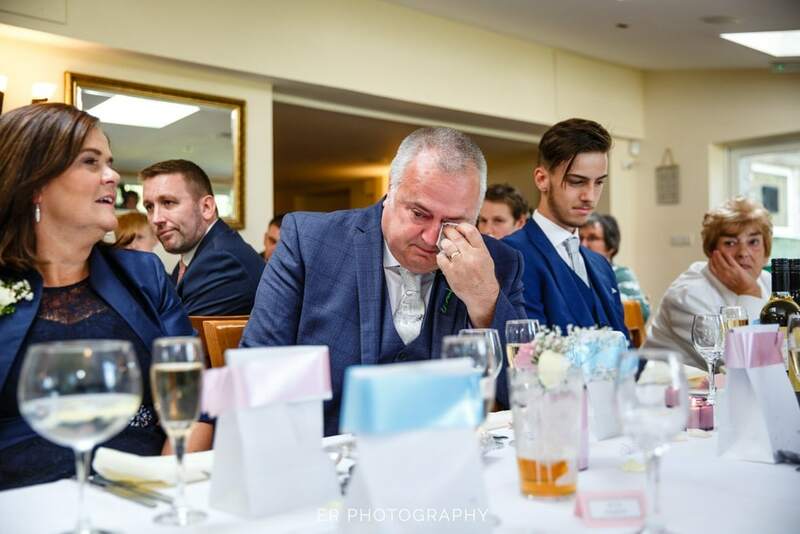 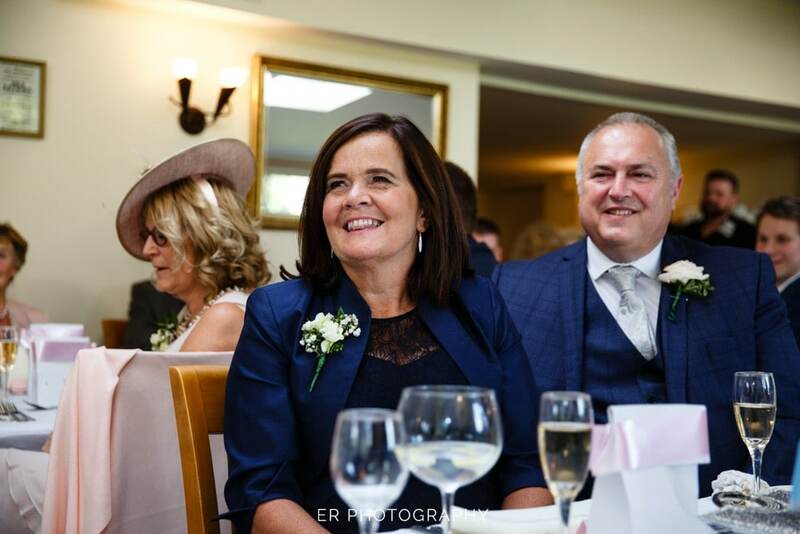 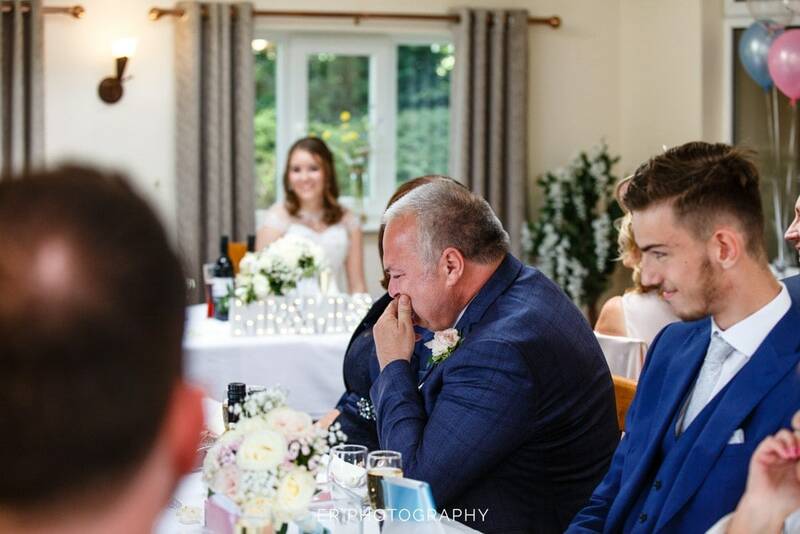 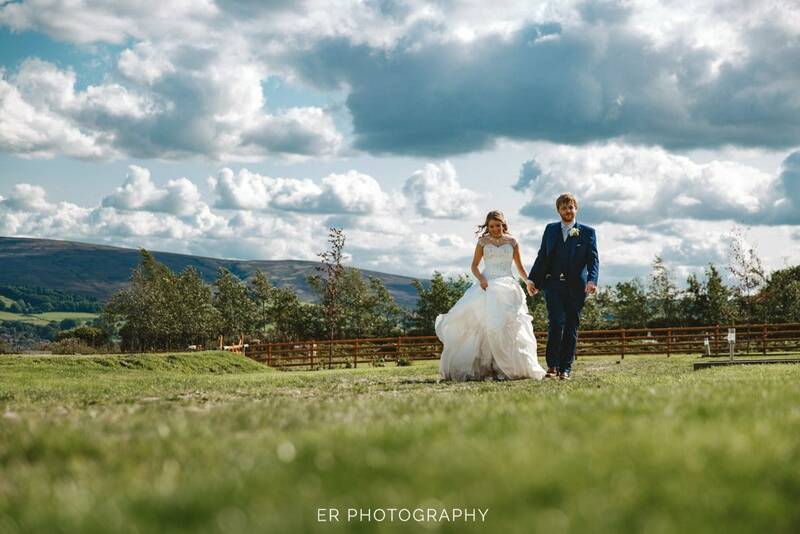 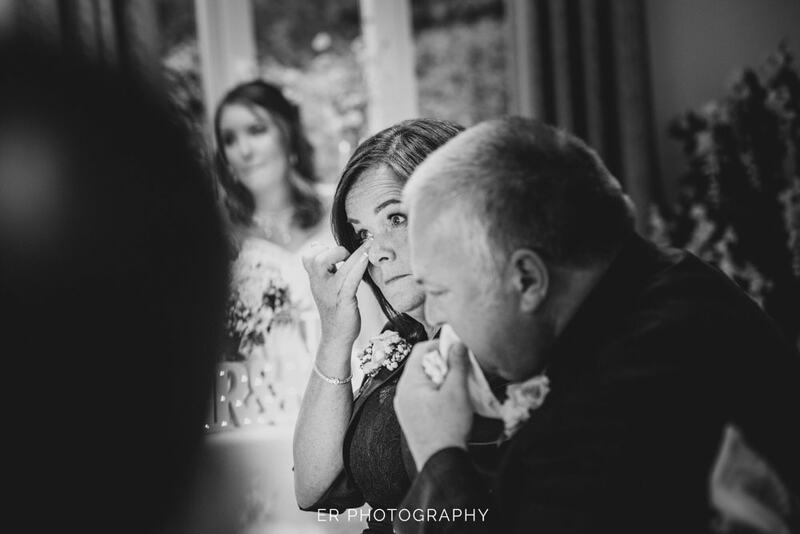 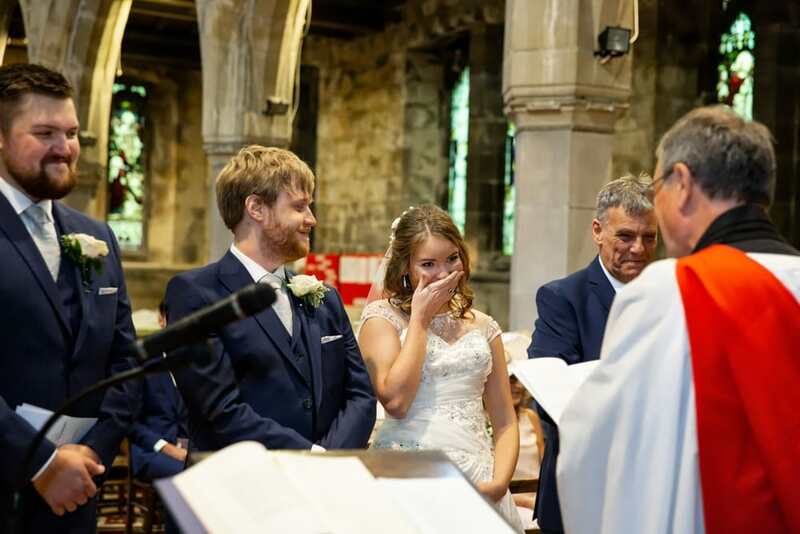 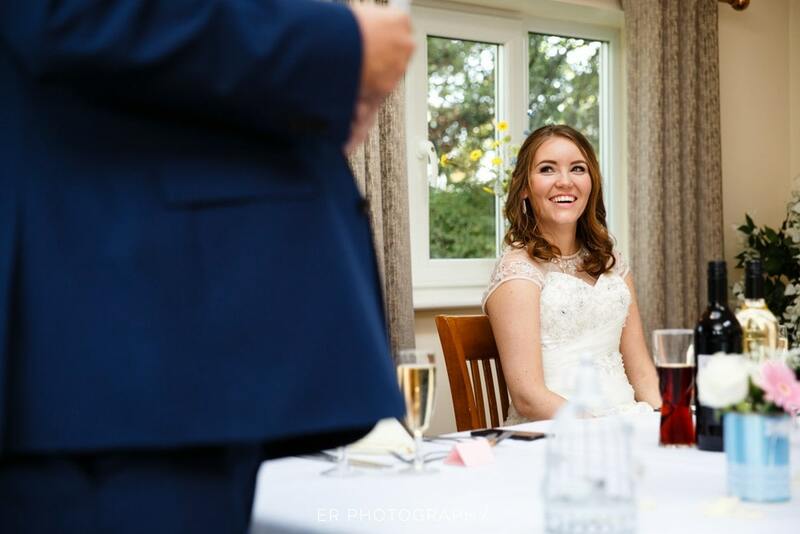 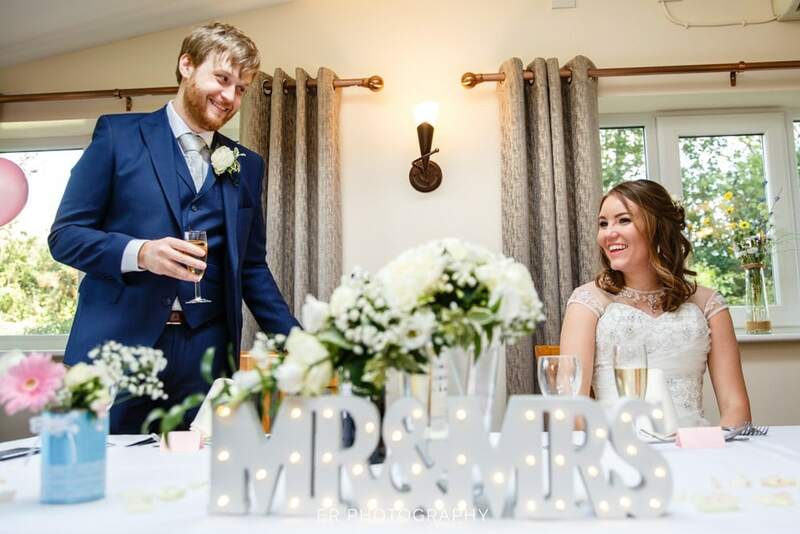 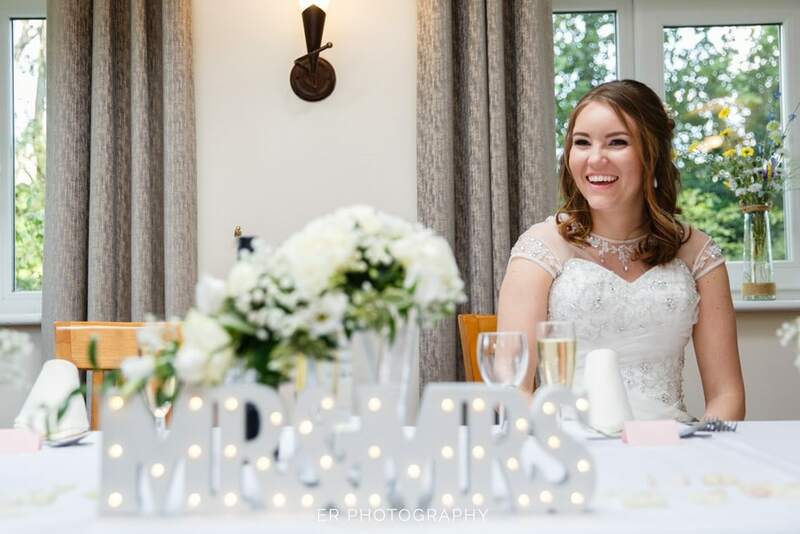 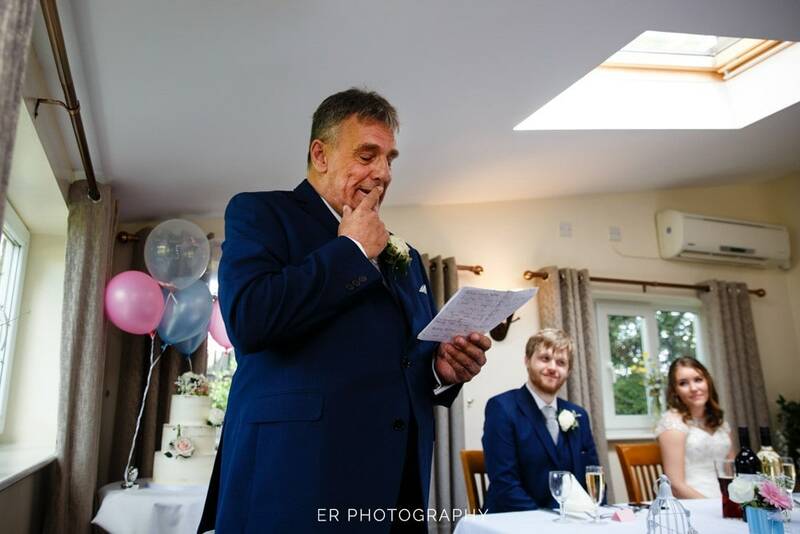 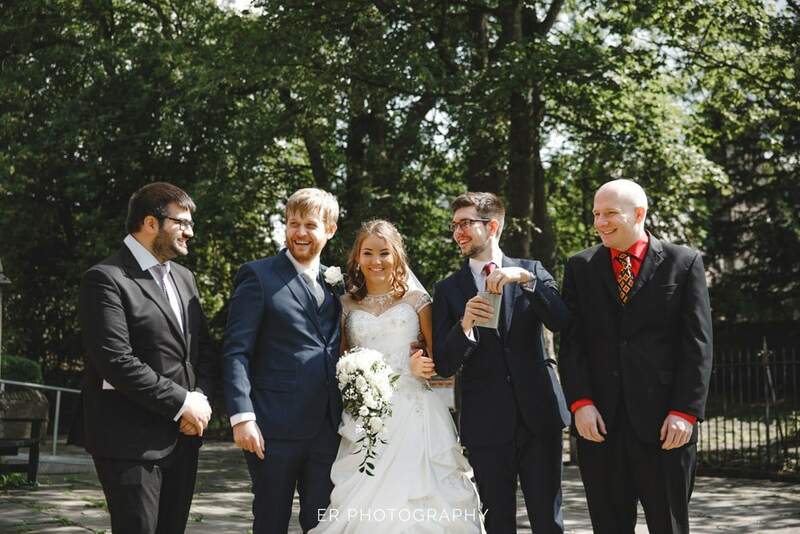 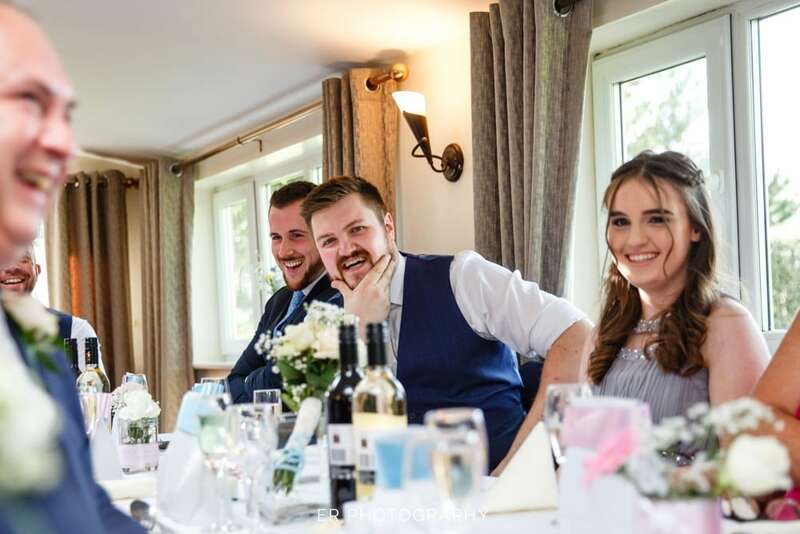 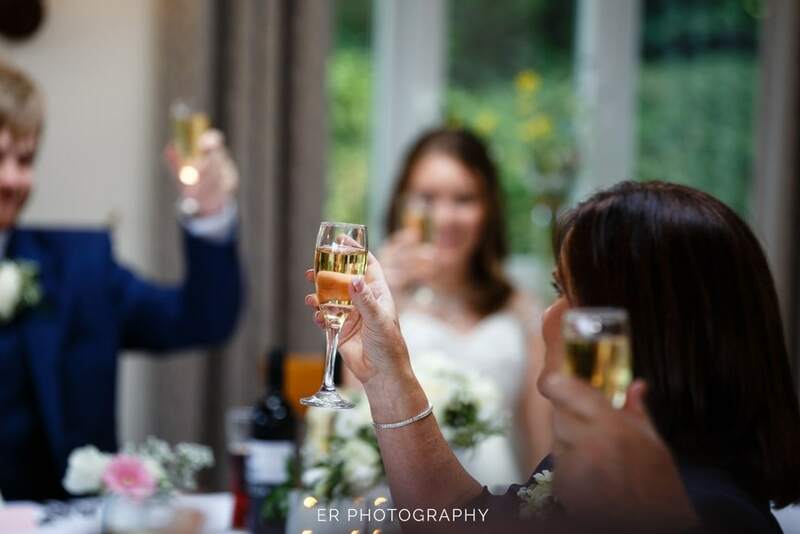 We love these moments and as you can tell from Claire’s face whilst walking down the aisle she couldn’t be happier. 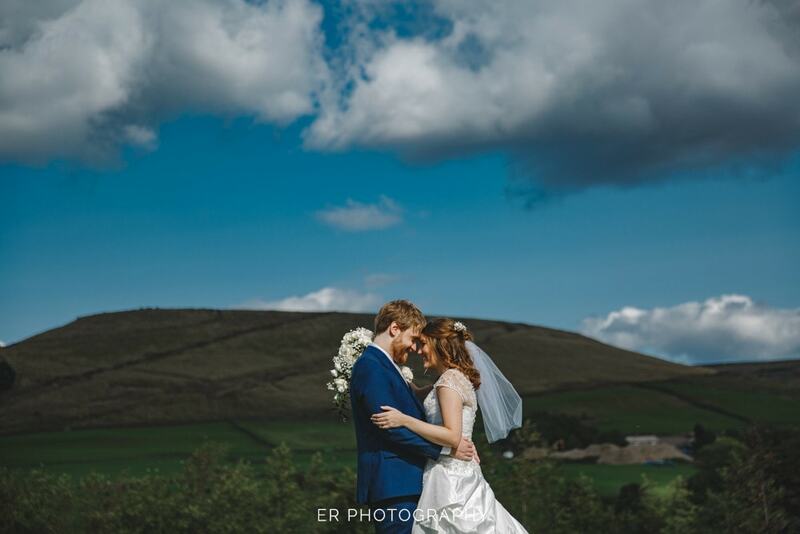 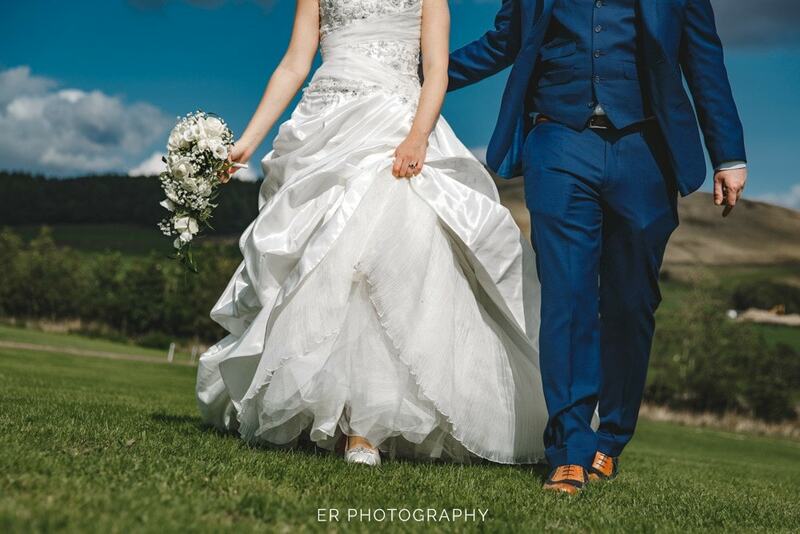 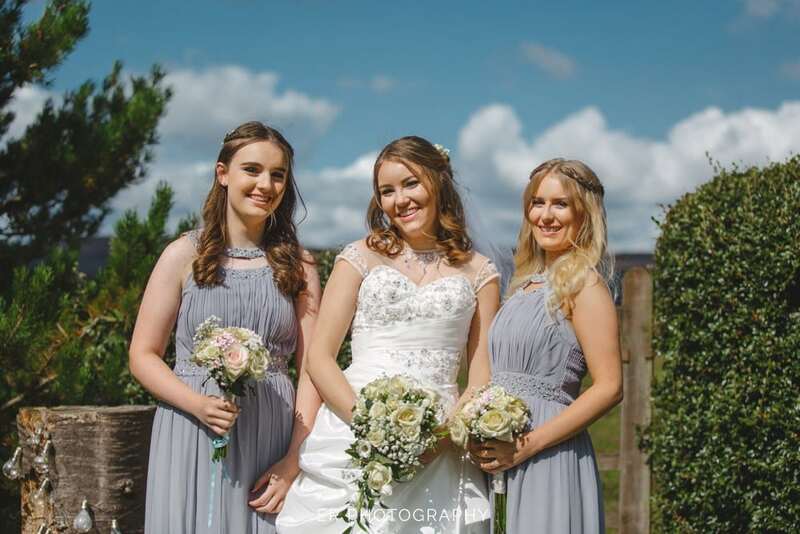 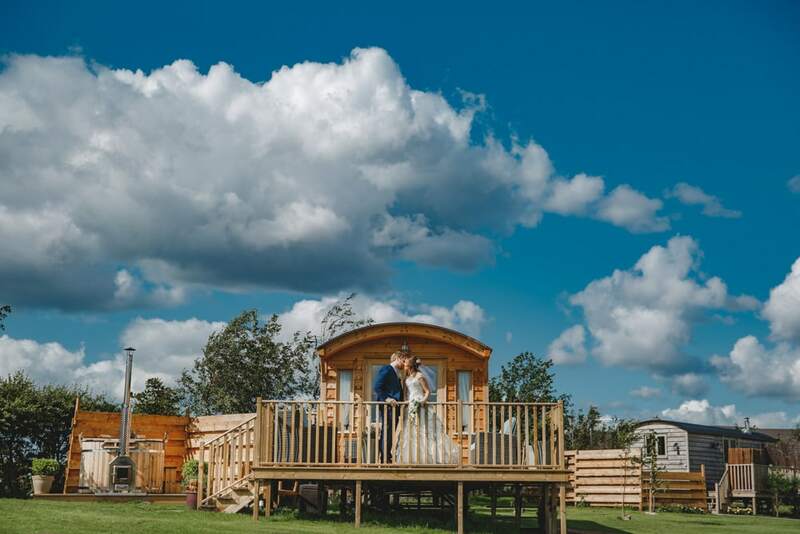 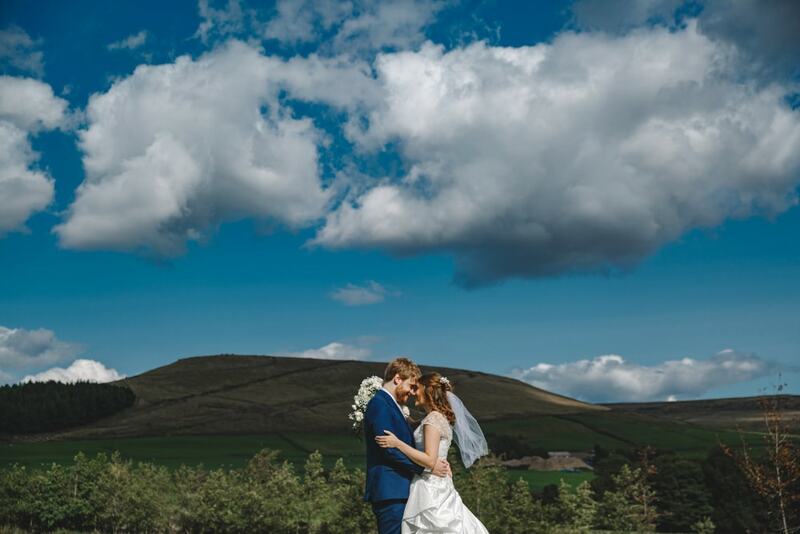 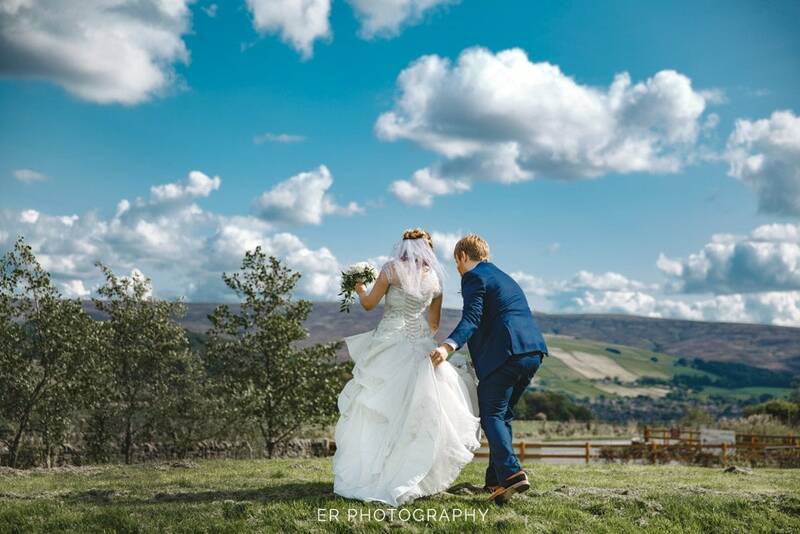 After a week of wet weather the sun was out in full force, really strong sunshine can be a pain but we used it to our advantage and the wonderful blue sky with fluffy white clouds looked fantastic on their portraits.